The R-21 (Russian: Р-21; NATO: SS-N-5 'Sark/Serb'; GRAU: 4K55) was a submarine-launched ballistic missile in service with the Soviet Union between 1963 and 1989. 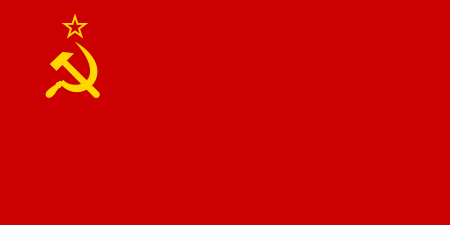 It was the first Soviet nuclear missile that could be launched from a submerged submarine, and also had twice the range of earlier missiles. It replaced the R-11FM and R-13 (SS-N-4) on many Golf and Hotel-class submarines, and was in turn superseded by the R-27 (SS-N-6 'Serb') missile carried by Yankee-class submarines. Development of the R-15 and R-21 was initially assigned to Mikhail Yangel's Yuzhnoye Design Office (OKB-586) on 20 March 1958. The project was transferred to Viktor Makeyev's SKB-385 on 17 March 1959. It was intended for the Golf-class submarines (Project 629B); the complete missile system was called the D-4 weapon complex. The 4th Research Institute had been conducting trials of underwater missile launch systems since 1955 with modified Scuds but the first successful launch was in 1960 and the first flight of a standard R-21 was in 1962. Over the lifetime of the missile, 193 out of 228 launches were successful. 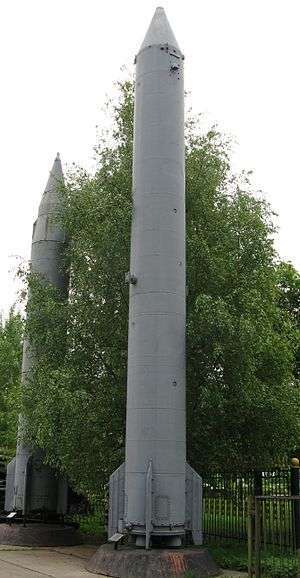 The R-21 was probably the basis for the design of the North Korean No Dong (Rodong-1) missile. Unlike Western designs, the R-21 used a cold launch solid rocket to eject the missile from the flooded launch tube before the main motor ignited. This allowed missiles to be launched in a water depth of 40-60m. The propulsion system used an IRFNA-amine fuel, AK-27I/TG-02. AK-27I was a mixture of 73% nitric acid, 27% nitrogen tetroxide, and an iodine passivant. The fuel was originally used in the Wasserfall rocket under the name TONKA-250 and consisted of 50% triethylamine and 50% xylidine. This gave the R-21 a range of 1,400 km (760 nmi), double that of first-generation sub-launched missiles. The Naval Institute Guide suggests that the range was initially 1300 km, and extended to 1650 km later in the life of the missile. There was a single warhead of approximately 800 kilotons. There was some confusion about the SS-N-4/5/6 series of missiles in the West, the SS-N-5 is normally given the NATO reporting name 'Sark' like the SS-N-4 first carried by the Golf submarines, but some variants were assigned the name 'Serb' normally used for the SS-N-6. Jane's uses 'Sark'. The missiles replaced first-generation R-11FM and R-13 missiles on some Golf (Project 629) and Hotel (Project 658) class SSBNs, with three missiles per submarine, between 1963 and 1967. They were succeeded from 1967 by Yankee-class submarines carrying 2400 km-range R-27 (SS-N-6 'Serb') missiles. Seven of the eight Hotel I (Project 658) subs were upgraded to Hotel II (Project 658M) standard, which were retired by 1991. 1 2 Wade, Mark. "Nitric acid/Amine TG-02". astronautix.com.